This is an art blog and as such I strive to avoid topics that are controversial or that could be construed as political. 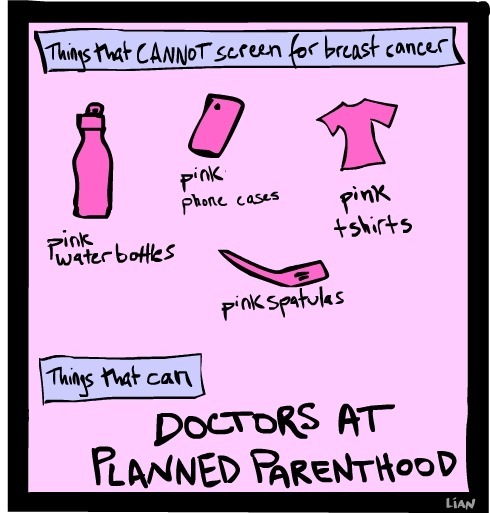 However I take the recent decision by the Komen Foundation to defund mammograms offered by Planned Parenthood very seriously. My younger sister died much too early from Breast Cancer and it is appalling to see so many more women put at risk by this decision. Please do whatever your own conscience tells you to insofar as decrying or applauding this decision but please do give the situation some thought as well as the overall impact on women and their health. My hopes are that you will let the Komen foundation know that you think it is an outrage – if indeed that is your conclusion. Please take a quick look at this graphic (click on link) for some perspective. Thank you very much. tumblr_lyqkrckXlJ1r65lwbo1_500.jpg (JPEG Image, 490 × 513 pixels). Have left my protest as well. This is just a travesty to all women. I sent The Komen Foundation an email earlier this afternoon to register my disgust with this blatant politicization of vital women’s health issues. The Congressional grandstanding witch hunt is bad enough. Agreed. They should be available to all woman of every financial situation, and in fact be mandatory..with the breast cancer rates at what they are…I can’t believe this was allowed to happen. I will be letting them “Komen Foundation” know how I feel about this.